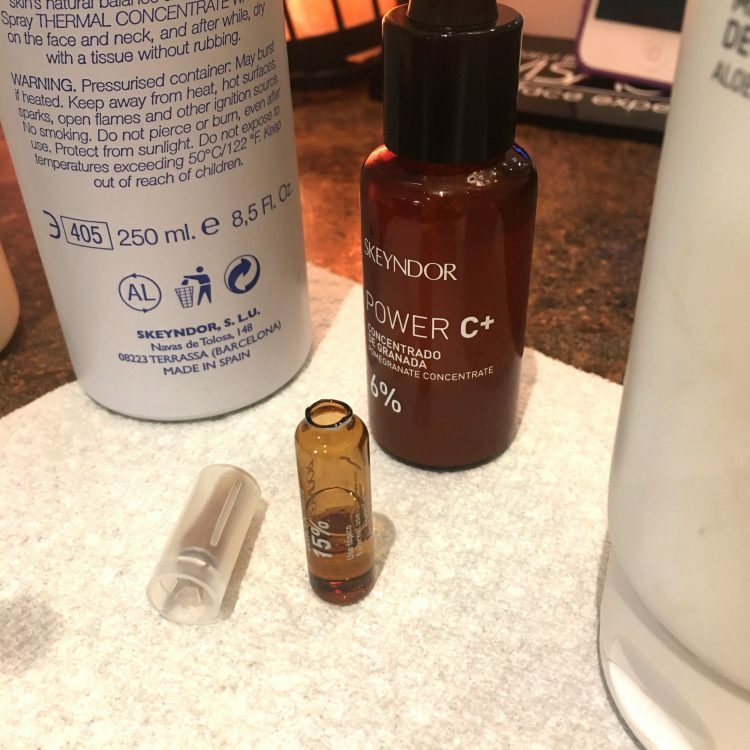 The Power C+ Facial is the latest in-salon treatment for Caryl Baker Visage locations. With its new generation Vitamin C combined with the super pomegranate derivative, Grenadine the Power C+ facial offers 700% absorption to stimulate metabolism and create collagen. The facial starts a gentle cleanse to remove any makeup that you currently wearing. High absorption Vitamin C is applied to your skin. What’s cool about this is that they actually have to break a little glass bottle to retrieve the Vitamin C. It is stable at high temperatures and in the presence of oxidation. Pomegranate HG extract is applied. This extract contains antioxidants, photoprotector and anti-inflammatory. Calming Aloe Vera Mask is applied to help refresh and hydrate your skin. Energizing Cream is applied to illuminate and unify tour skin tone. The ladies at Caryl Baker Visage in Mapleview are amazing. Toni provides a relaxing environment and is always happy to answer any questions I have. I’ve noticed the day of and even a few days after how much brighter and softer my skin has got. It’s the perfect way to treat yourself for the new year! Don’t forget to book your Power C+ Facial soon because it’s on special but only until January 29th. Right now it’s only $84 but after Jan. 29th it will be $120. 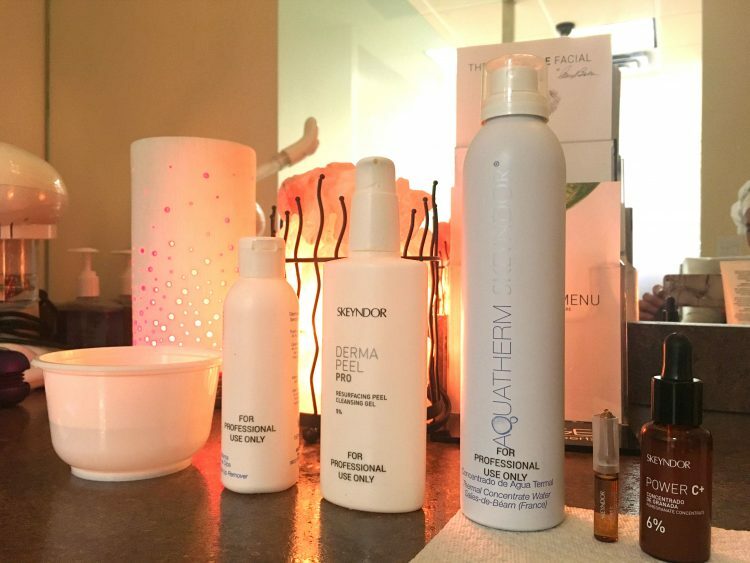 You can also purchase multiple treatments to use them in the future or to book the Euro Power C+ Facial which is for your Face, Neck and Decollete. 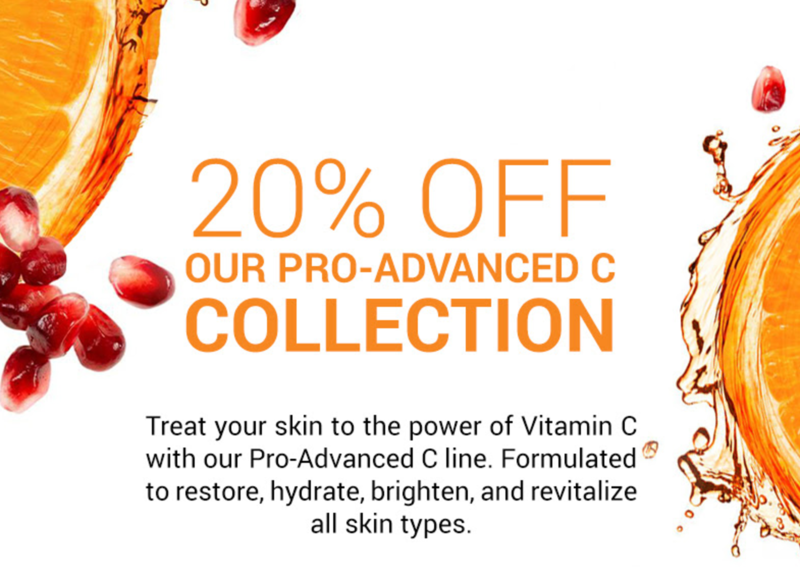 Be sure to also check out their Pro-Advanced C Collection so you can bring home and continue the Vitamin C skin care routine.